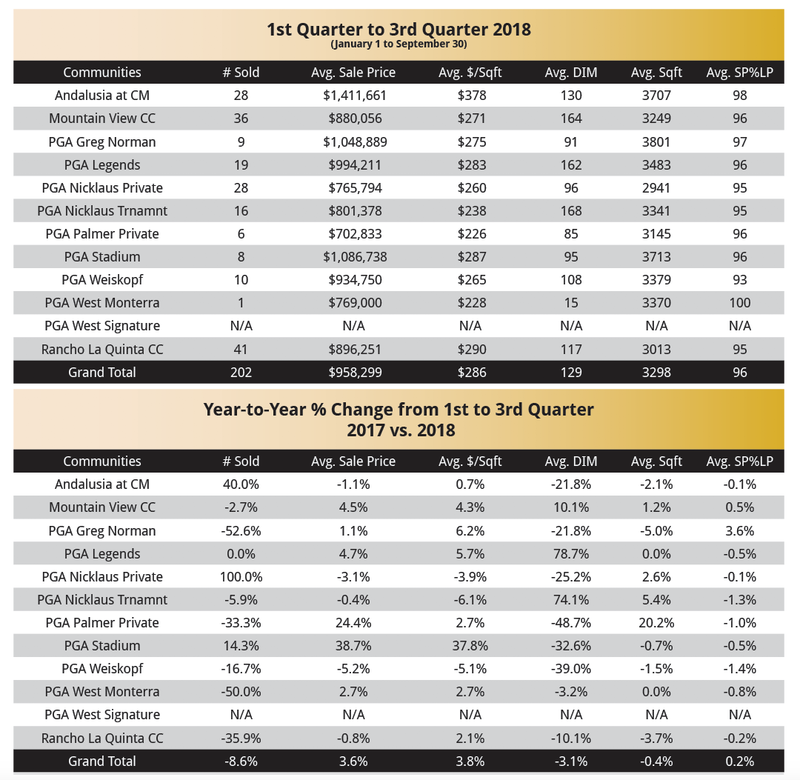 The Jelmberg Team has compiled the table below of all homes sold in La Quinta golf course communities from the 1st to the 3rd Quarter (January to September) of 2018 for the benefit of the residents and prospective buyers. There is also a year-to-year comparison of the data showing the change in prices and volume in the various communities. This data helps estimate home values and show the market trends in these communities. If you are trying to determine a list price for your home, it is highly recommended to have professional Comparative Market Analysis (CMA) to determine listing prices. If you would like assistance in determining the market value or a listing price for your home please contact a Jelmberg Team at Realtor here.